Help your musical talents grow with lessons from our skillful professional musicians. Each of our gifted tutors has decades of performance and teaching experience. So, rest assured that you'll get fantastic instruction for your favorite instrument. Piano, Voice, Guitar, Bass, Trumpet, Trombone, Baritone, Euphonium, Tuba, Clarinet, Saxophone, Drums, Flute, Violin, Viola, Ukulele, Music Theory and more. Master your instrument or learn a new one with our experts. With lessons at El Dorado Hills Music, you can develop your skills with an instrument you already know, or you can add something new to your repertoire. Please contact our expert instructors directly to schedule your lessons, they keep their own schedules. With over 20 years of teaching, composing, and world touring experience in many types of music, including marching bands, classical, jazz, blues, rock, hip-hop, metal genres, country, and orchestral scoring, Cameron can teach you a variety of musical skills both in the studio and on the stage. He began teaching at this location in 1997. Students have gone on to obtain music degrees and establish careers in the music field as composers, performers, A&R, and technical engineering. Cameron has played with and/or opened for a large variety of musical acts and/or members of Blue Oyster Cult, Buckcherry, War, Queensryche, Doobie Brothers, Charlie Musselwhite, Moonshine Bandits, Texas Hippie Coalition, Jefferson Starship, Warrant, Pat Travers, Dio, Dokken, Quiet Riot, Tesla, Guitar Shorty, Guitar Mac, Deacon Jones, Autograph, Black Sabbath, Lukas Nelson, and many more, as well as having composed and placed music in several independent films, plays and professional web projects. He strives to expand your musical education and innovation to inspire you intellectually and creatively. Cameron's focus is on composition and becoming fluent in the language of music. In 2018, Cameron and his wife became the new owners of El Dorado Hills Music, purchasing the store as the previous owner moved on to retirement. Phone: 916-221-8384 Best way to reach him is by email. Wendy can help you with her over 25 years of teaching experience with students of all ages and levels. She's learned from the best, including John Trenalone (Placerville), Dilworth Simmons (Sacramento), and Frank Wiens (U of the Pacific). She's also studied music at the graduate level in Illinois and Iowa, and she's taught at the college level in the Southeast. 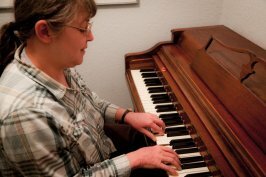 With Wendy as your piano teacher, you can focus narrowly or pursue musical independence across a variety of styles, approaches, and skills. Jerry comes to El Dorado Hills Music with experience from traveling throughout the US and abroad, experimenting with all types of music. In 1988, he built a recording studio and started private teaching. He was a part of the GAC (Guitar Activity Center) with Michigan's Vic Trigger, where he taught for 4 years. He also wrote and recorded the entire curriculum. Jeremiah has 17 years of teaching experience in both private and classroom settings. 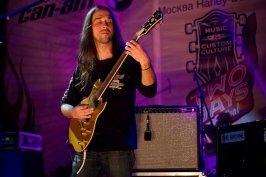 He teaches a variety of styles including classical, jazz, rock, and pop. Jeremiah is currently the band director at Rolling Hills Middle School. 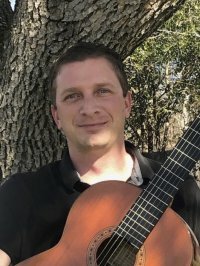 Jeremiah graduated with a bachelor's degree in classical guitar from California State University East Bay in 2006 where he studied under Marc Teicholtz. He obtained a single subject teaching credential in 2015 from National University. Jeremiah has also studied with international performers such as Scott Tennant, Pierre Bensusan, Martha Masters, and Nicholas Goluses in a master’s class setting. He has performed solo and with a variety of groups including chamber ensembles, jazz bands, and concert bands. Jeremiah strives to provide a quality education for his students that fosters a lifelong love and appreciation for music. 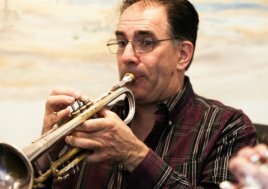 Erik brings over 30 years of experience in marching bands and other styles to our store, including jazz, symphonic, chamber, and stage music. He's an original member of Hip Service, an R&B funk band from Sacramento, and you may have heard him play locally with the Ron Cunha All-Star Big Band or the Placer Brass Quintet. When you work with Eric, he'll share what he's learned with you and help you apply those skills in music, academics, sports, and more. For private violin lessons for students of every level, Eugene is an outstanding teacher. Whether you're a beginner or an advanced musician, you'll surely learn something new and valuable. 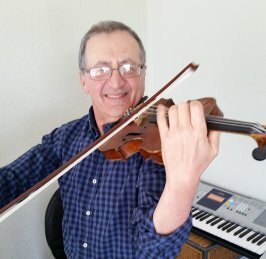 Eugene's musical journey includes a Master's degree in Violin Performance, over 25 years of teaching experience, and more than 35 years with symphony orchestras in Europe and the United States. Bailey has taught small classes and private lessons for two years. He is bringing his talents to El Dorado Hills Music, where he began as a student. 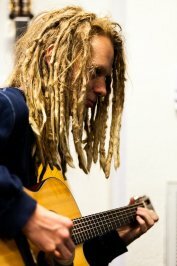 Currently pursuing a degree in music education he brings 10 years of experience in many types of music ranging from folk to classical, jazz and reggae. Having taught early childhood classes and adult students, Bailey is ready to reach all ages with determination and patience. Carianne is new to El Dorado County and brings with her thirty years of instruction in Northern California, Los Angeles, and New York City. An accomplished pianist with extensive choral experience, she began doing theatre professionally at 17 and graduated with both a BA in Music and a BA in Theatre from CSU, Chico. Her professional highlights include regional contracts in wine country, the Central Coast, and Utah. Prior to her move to Manhattan, Carianne enjoyed four years performing as Union Talent with the Walt Disney Company in Southern California. Carianne is trained in various styles, though she believes excellence in singing any style begins with the basics of healthy technique and the development of a fluid and strong instrument. Whether you are preparing a concert, working on school auditions, recovering from a vocal injury, or want to use the best form of your voice at church or karaoke, Carianne can help. 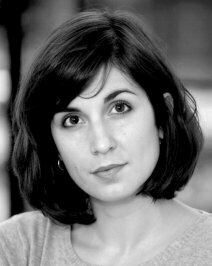 Carianne accompanies all of her own lessons and emphasizes reading skills and the concurrent study of piano and voice. She also includes curriculum in music and art history and loves focusing on the science and math of music as well as the wonderful and varied ways our bodies can produce it. Audition skills and performance prep are a large part of beginning a career in music, and Carianne provides that, as well as repertoire consulting and book-building for those who are focusing on that path. Curiosity is encouraged in all lessons; where there is a question, she will help you find the answer.